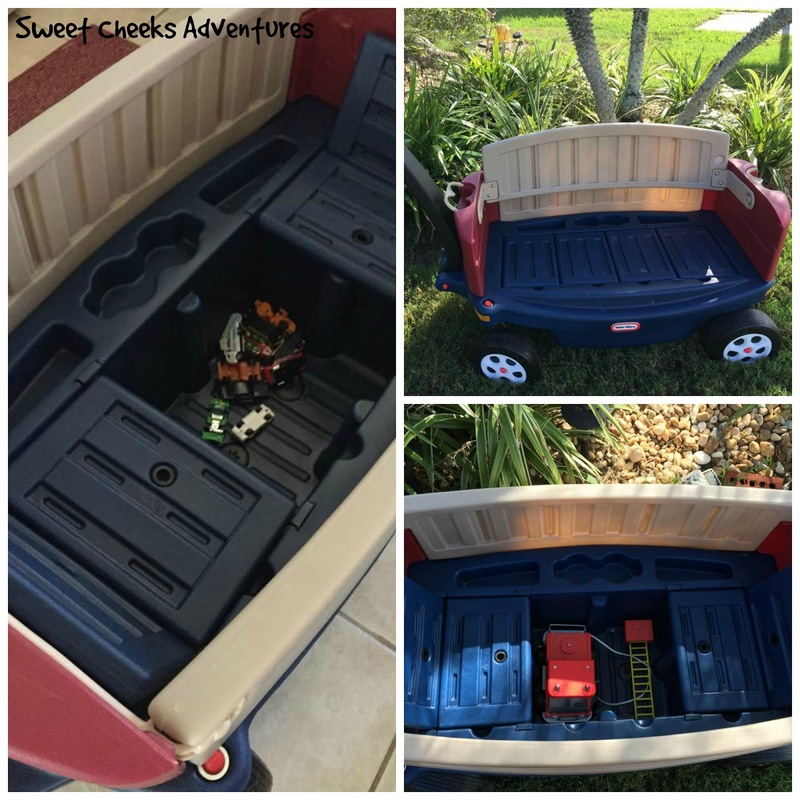 Sweet Cheeks Adventures: 5 Reasons why Little Tikes Wagons are Great! 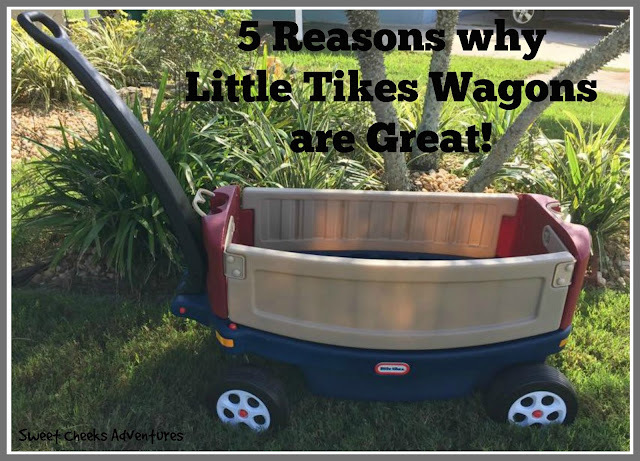 5 Reasons why Little Tikes Wagons are Great! 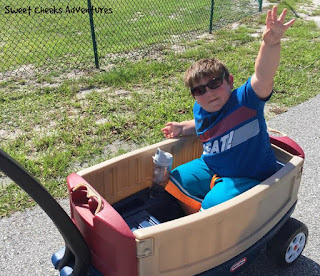 As my little man has gotten older, the need for a wagon has become greater and greater. He is bigger than most kids his age, so the stroller isn't a great option anymore. 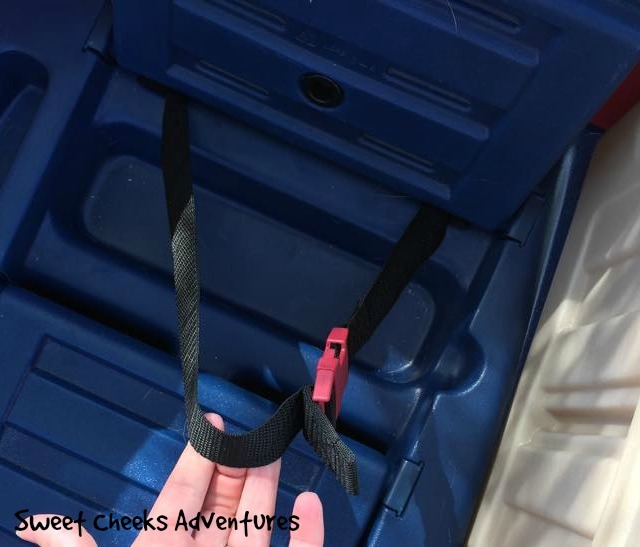 While I have to remember he is still only 3 years old and can't walk 4 miles with me, I was searching for ways to bring my Cooper along on the long treks and even the short treks! What you see here is the Little Tikes Ride and Relax Wagon. Cooper and I love this wagon! It is the perfect size for him and is so easy to convert into many different things. It also has cup holders!! See them up there? A great time can be had by all with this wagon. 1. Walking in Parades -- There are so many parades that I've attended that I see a child being pulled along in a wagon. If a child isn't in the wagon, it is filled with bottles of water or even candy. Personally I am excited to have this wagon joining out family as I am a Girl Scout Leader with a 3 yr old son that cannot walk the long parade route. I can load him up and not worry about where he is or what he is doing! 2. Walk around the neighborhood --I am a big fan of walking the neighborhood to get to know the neighbors. With this wagon I can bring along the kids and when they get tired I am not required to carry them, but to simply pull them back home. 3. Watch a movie -- Seems a little silly but Cooper loves to switch our Relax and Ride Wagon into a bench to watch a movie! With a weight limit of 250 pounds, it is a great place to cuddle with him too! Cuddle and movie time is the best with my little man and our wagon! 4. Haul toys from room to room -- There have been so many times where I found toys stowed away in the bottom compartment. Race cars, fire trucks, baby dolls, art supplies, I could continue listing but you get the point! Also when I am cleaning up rooms after a long day of dragging out all of the toys in our house to one room, this wagon makes it easy to distribute them back to their homes! Who said mom wasn't allowed to use the wagon too? 5. Exercise! -- I mentioned before that we like to go on walks. When I am out for a morning walk, I like to get in a few miles. It is impossible for Cooper to walk/run for 4 miles. His little legs can only go so far, right? 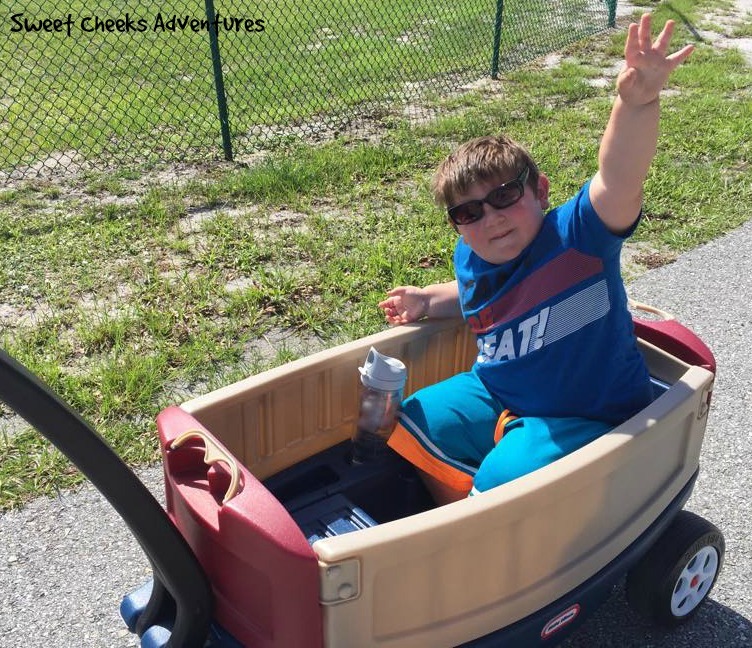 With the Ride and Relax Little Tikes Wagon, he is able to do just that. Relax and Ride! He brings along water and maybe a toy. Works great for him and works great for me! Worried about safety while your Little is riding along inside this wagon? No need! You'll notice the inside of the wagon converts to little seats. Inside these seats you will find seat belts! I've raved about Little Tikes before and this time is no different. The quality of the wagon is no less than what I would expect. The wagon is made of very hard plastic and is easy assemble. The wheels are easy to move as they swivel. I noticed on our neighborhood walks, Cooper wasn't feeling the bumps and cracks in the concrete! I was so sure at one point I was going to lose him but he barely moved. All around, this wagon is great! We had this wagon for my kids when they were little and we took it everywhere. It was a part of the family. What a cool wagon. I love that it converts to a bench and it has a place to store toys. I miss our wagon! I want to get another one, not to push my kids in BUT to bring my groceries in with it! Personally I love everything LIttle Tikes makes. I can't wait until I can get one for my grandson! I had no idea these wagons had seats too! These are so cool. It's so awesome that it can become a bench. My kids had a Lil Tikes wagon. They're really great. We loved every Lil Tykes toy! I always wanted a wagon like this when my kids were little. But that ship has sailed, unfortunately! Can you really pull this for 4 miles? That's amazing! I agree! Little Tikes wagons are really awesome. We have one that is part of our everyday life in the summer. Coincidentally enough, my daughter just asked me for a wagon yesterday and I've researching the brands and reviews. Thanks for adding to my list.